With so many places to see and check in Bicol, I have compiled all the places I was able to visit here and the places I look forward to see on my next trip here. I’ve learned to love this place since childhood since this is my mom and dad’s hometown. It was only recently when I realised how wonderful this province is boasting with beautiful beaches, active volcanoes, soaring mountains and great food. 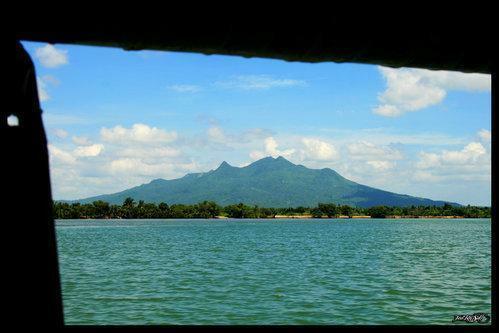 Also known as Mahabang Buhangin in Tinaga Island is the famous for many campers and backpackers. Powdery White Sands and Crystal Blue Waters. To know more, click here. Also known as Mount Mayon, is an active volcano in the province of Albay. Renowned as the “perfect cone” because of its almost symmetric conical shape. Mayon Volcano is the main landmark of Albay Province, rising 2,462 meters or 8,077 feet. Direct flights from Manila offered by PAL Express and Cebu Pacific are available daily as well as bus rides coming from Pasay and Cubao offered by Peñafrancia Tours, Cagsawa Bus Tours, Philtranco, DLTB, Antonina and RSL. With so many to choose from getting a ticket at low price is easy. Soon, one can visit Bicol again via PNR as they are still undergoing repairs. One can also hike Mt Mayon as long as proper permit has been secured. See suggested Itinerary here. Caramoan is one of the famous destinations in Camarines Sur because of its majestic and breath-taking island beaches and rock formations. 5 Survivor TV Series started it all few years ago. France, Turkey, Israel, Bulgaria and Serbia had their Survivor editions here in Caramoan. This used to be a quiet town but after its big exposure the town started to flourish. Check out the story and My Three Day Itinerary and Expenses here. 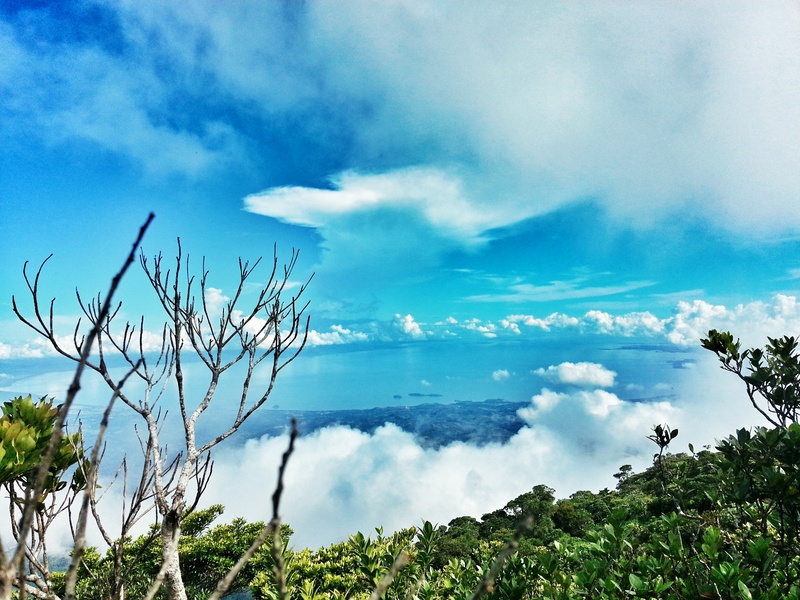 Soaring at 1966 MASL, Mt Isarog is a paradise at the heart of Camarines Sur. It has rich biodiversity with its very own mossy forests and verdant crater, an overview of Bicol Peninsula, and a glimpse of majestic Mt. 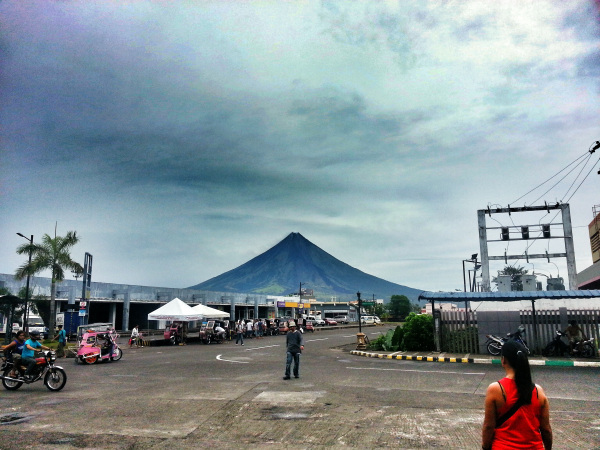 Mayon. Mt Isarog is the second highest mountain in Bicol. See the story of my Hike and for the suggested Itinerary and Expenses here. Ligñon Hill provides a breathtaking view of the Albay Gulf especially at night. It stands at 500-ft. above sea level and overlooking Legazpi City. A favorite of joggers and lovers, it is also easily accessible to tourists as it is a 3-minute drive from the city proper. One can also get a tricycle to get here. ATV ride is also available for those who want to get to the top without having to walk. At the top, different activities are offered such as Zip Line, Repelling. The Kawa-Kawa Hill is a 236 meter land form in Ligao resembling a ‘kawa’ or cauldron. It is now one of Albay’s tourist and religious destinations a stunning 360 degree view of Ligao City and neighboring towns, as well as sprawling green fields and nearby Mts. Masaraga and Mt. Mayon and a life-size Stations of the Cross. This a favorite among joggers and devotees. This is one of the things I will definitely on my next return to this province. If you are interested you can refer to Bicol Adventure ATV. Embarcadero de Legazpi is a premier waterfront development in the Legazpi City harbor that is emerging as a world-class lifestyle hub both for tourists and the locals. Being the only mall that is open even until past midnight, Embarcadero de Legazpi revitalized the city’s nightlife. With a beaming searchlight on top of its signature shimmering lighthouse and colorful lights reflecting on sea waters, nocturnal party-goers are drawn to this new-found haven where serene nature meets stylish urban living.